Are you tired of struggling? Do you feel like you’re never making any progress? Changing your money mindset might be what you need to get ahead! Like you, we struggled with money. The cash flew out as quickly as it came in, leaving us penniless at the end of every month. Our incomes were fine; we simply didn’t use them efficiently. We’d deposit our paychecks, pay a few bills, and let the rest sit in our checking account. And so it went, over and over again. Of course, we thought we were doing fine. Heck, our bills were always paid so what’s the problem, right? How could we make two great incomes, rarely buy anything new, and never have anything to show for it? We weren’t building for the future; we were just treading water to make it through the present. Something was off, so we took action and find out what it was. 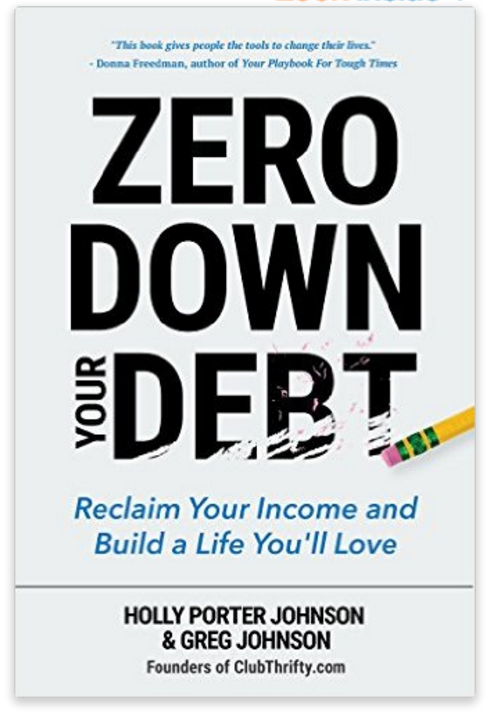 In our new book, Zero Down Your Debt, we explain how to reclaim your income and start building a life you’ll love. 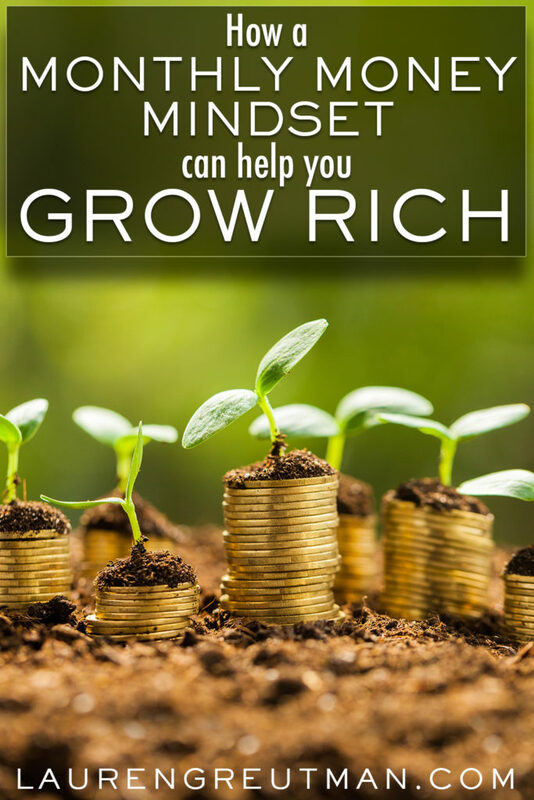 You see, your income is your most powerful wealth building tool. Unfortunately, most of us squander its potential, often without even realizing it! That’s what happened with us. We had no budget. We had no plan. All we did was bounce from one moment to the next, making sure our checking account could cover whatever we wanted at that exact moment. After making the decision to straighten out our finances, we immediately did two things. First, we started a monthly budget. Second, we started tracking our spending. These two tools completely changed the way we thought about our money. We stopped considering purchases in the moment and started picturing how they fit into our total monthly plan. 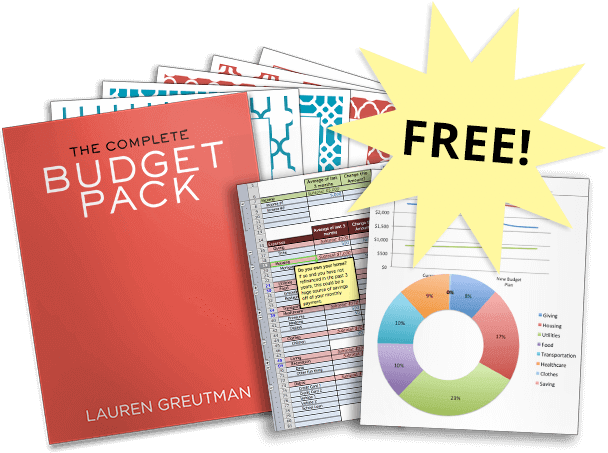 They helped us develop a monthly money mindset, and this dramatically altered the trajectory of our lives. Adopting a monthly money mindset helps you see expenses as a percentage of your monthly income. If you’re like we were, you simply pay your bills when they’re due. Don’t mistake paying your bills for having a plan. When you get paid twice a month, it’s easy to overlook the big picture. Sure, you can pay $400 every two weeks in car payments… but are those cars costing you 25% of your monthly income – or more? That’s a huge chunk of your monthly income, and it may not be worth it. When we made the switch, my wife and I were taking home about $4,000 a month. That’s a pretty good living, so there was no reason we couldn’t be saving money… except there was. Our car payments were eating up almost 20% of our income. On top of that, we found another expense that was even worse. We were spending over $1,000 a month on food, mostly at restaurants. That’s outrageous for just 2 people. So, between the cars and the food, about 45% of our take home pay was already wiped out! After realizing almost half our monthly income was going toward two expenses, it was easy to see where changes needed to be made, and fast. How many times have you said that, right? The problem is that type of thinking doesn’t account for all the other times you’ve made the same rationalization. You mistakenly view your bills as individual parts without considering how they fit into the whole. I used to do this all the time. I’d be stoked about my awesome cable package, or I’d think, “Yeah, I can afford these game tickets.” On their own, they weren’t that big of a deal. But, by adopting a monthly money mindset, I started seeing how each individual splurge added up. By comparing them to each other and against my income, I quickly learned that some of these “small” expenses were destroying the power of my paycheck. Of course, most of that money would simply disappear. We had no idea what we were actually saving (which wasn’t much), no savings goals to shoot for, and no plan to track it. It’s no wonder we had trouble getting ahead. Adopting a monthly money mindset helps you realize exactly how much money you’re really saving. In Zero Down Your Debt, we explain how this attitude (coupled with a zero-sum budget) helps you become deliberate with the amount of money you save and spend. When you think in terms of the month and create a plan for your pennies, the dollars usually follow. For us, a adopting a monthly money mindset has made a huge difference. It forced us to reconsider all of our expenses and helped us start saving with intention. If this sounds like you, perhaps this simple switch can help you become more efficient with your paycheck as well. Good luck, and go get ‘em!